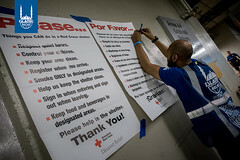 PLEASE NOTE: Donations made toward IRUSA’s United States Humanitarian Aid fund in excess of the support requirements for this particular emergency may be used to support other important emergency or long-term work across the region. 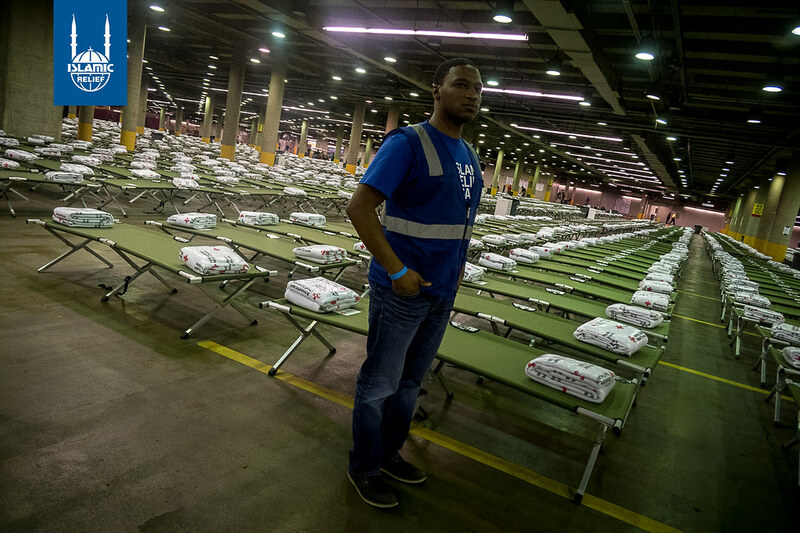 One of the strongest storms to hit the nation made initial landfall the evening of Aug. 25, 2017, along the Gulf region—especially pummeling Texas. Hurricane Harvey brought tornadoes and floods, 130 mph winds and power outages. 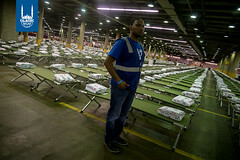 Buildings were destroyed and homes washed away, and the worst of it: people were killed and hurt. After Harvey was downgraded to a tropical storm, its wrath was still dangerous. It continued to dump rain as rivers rose, threatening entire neighborhoods. Schools were closed, and many roads stayed blocked for quite some time. Getting into or out of cities like Houston had been virtually impossible until early September. The storm brought some 51 inches of rainfall to certain areas. 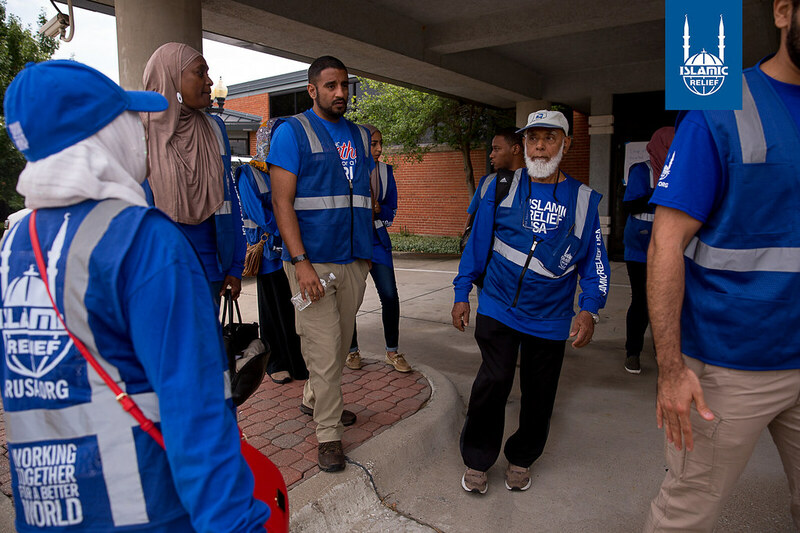 Islamic Relief USA’s Disaster Response Team mobilized quickly, moving from helping survivors of Hurricane Matthew in North Carolina to working to bring aid to those affected in Texas. 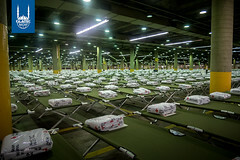 The team worked with the American Red Cross to set up and manage a “mega shelter” in the Dallas Convention Center. 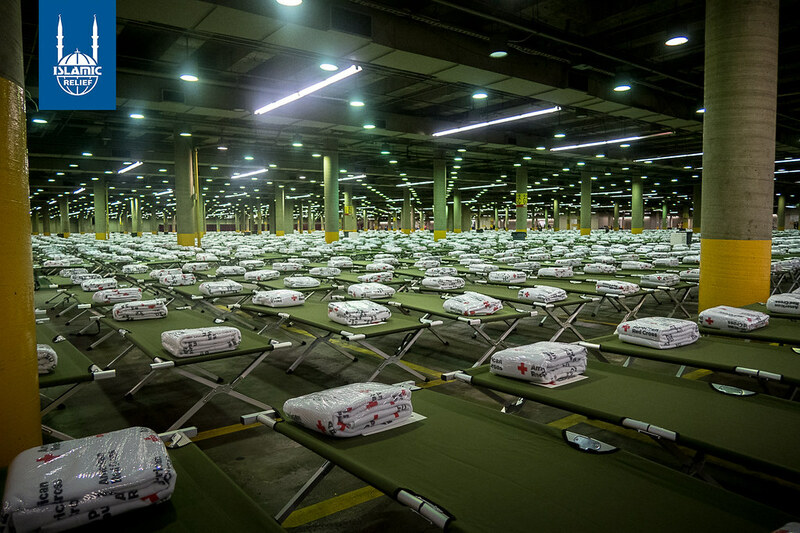 An expected 5,500 evacuees were being housed there. 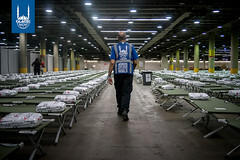 In addition to shelter management and assisting those inside, the DRT set up an Eid prayer inside the shelter facility for those evacuees and volunteers who will be there through Eid. 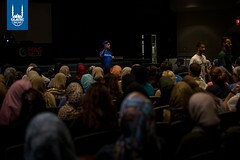 The team provided a special Eid meal as well and distributed toys for children on Eid day. 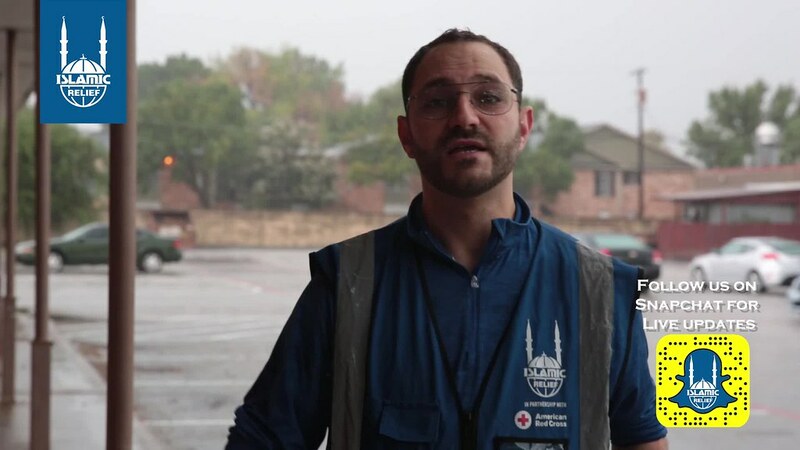 DRT staff also met with local relief groups, officials, and Muslim leadership to see how they could offer additional assistance. The team conducted training for local volunteers as well to make sure they were equipped with the skills necessary to help those in need. 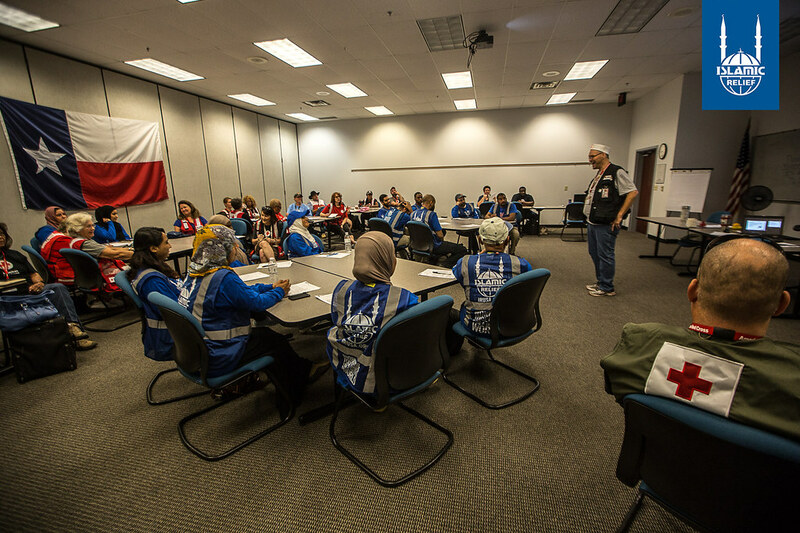 Once there was a way, some DRT members moved into the Houston area to begin disaster assessments and to provide additional emergency relief. Experts note that Harvey may be the costliest storm in U.S. history, and the recovery process has been a very long one. 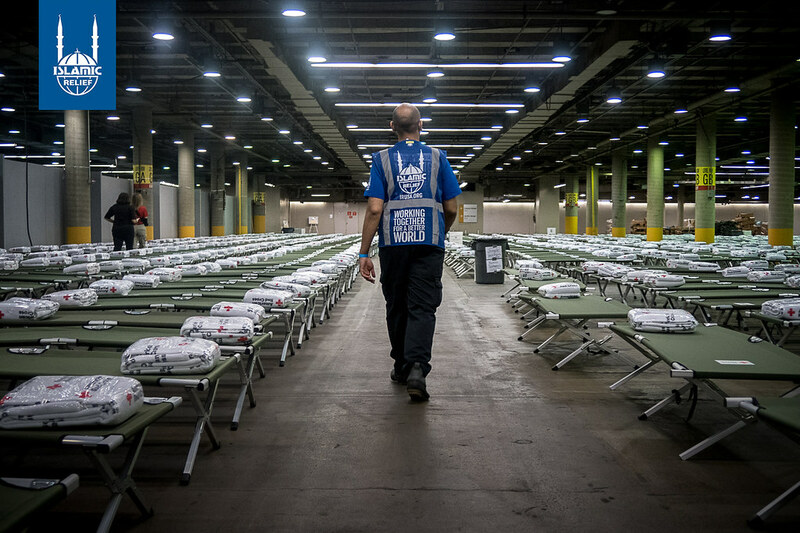 Your support for emergency aid is crucial: Please donate to IRUSA’s United States Humanitarian Aid fund to support efforts. 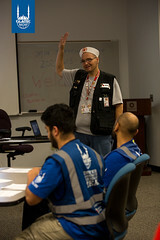 In addition to the emergency response IRUSA’s DRT conducted in the days immediately following the storm, the team continues to explore and participate in conversations around longer-term projects that will be part of the fuller recovery process. Islamic Relief USA accepts Zakah donations and distributes them according to Islamic principles …. 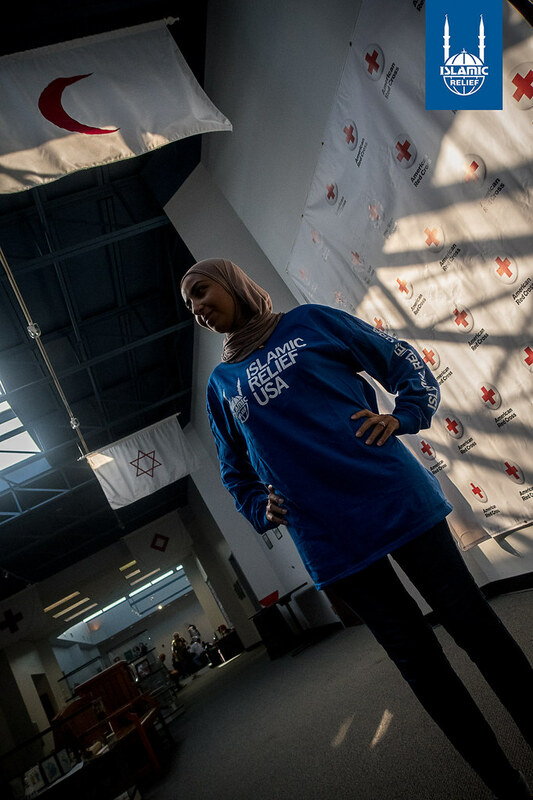 In 2015, IRUSA provided urgent water aid to our neighbors in Detroit, MI, in order …. 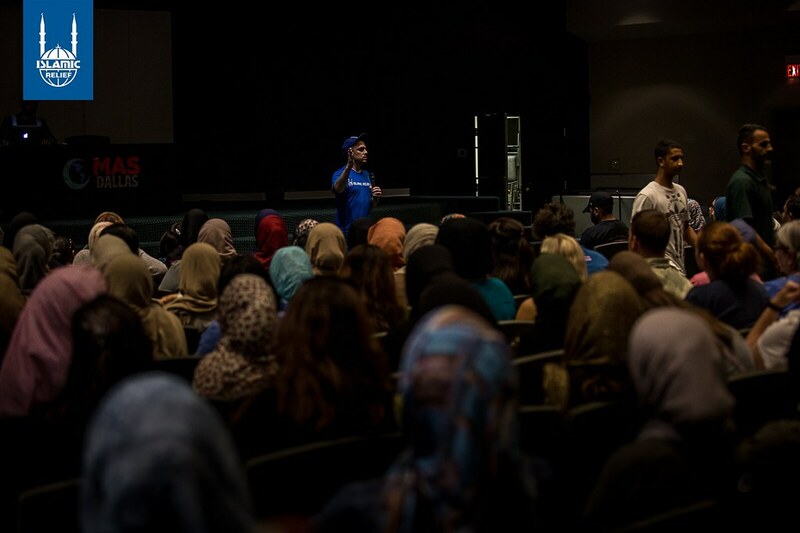 IRUSA helps refugees start their new life in the United States. Islamic Relief USA has cared for our homeless neighbors for more than a decade ….